Beginning as a food truck in 2015, the year it won Best Food Cart of the Year from the source, Bethlyn’s Global Fusion opened a storefront a year later and is currently located right next to Newport Avenue Market. With specialties like fried avocado tacos, Japanese tacos and the Santa Fe black bean bowl, the menu truly is a fusion of global flavors. Serving lunch and dinner, Chef Bethlyn Rider has won multiple local awards and recognition for her vegetarian dishes. 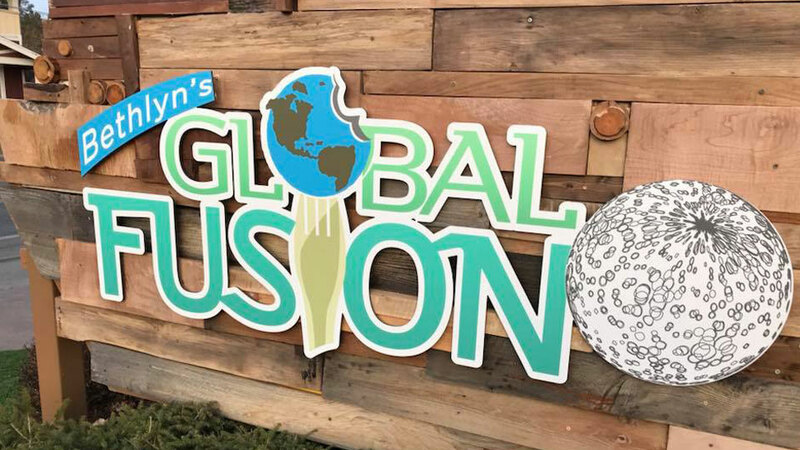 She says “Global Fusion is my own twist to recipes, [combining] cuisine from around the world” in new ways, such as Indian food with an Asian twist, or American with an African, French with an Indian twist, and so much more. Exciting combinations and unlikely flavors are on the menu daily and you can order online for pickup if you’re in a hurry or want to take it home to enjoy.